EcoPayz is a global payment method which allows players to make secure online money transfers, and it is widely supported as an option for deposits at online casino websites. Learn how to make a deposit with our easy guide to get started with playing the slots and table games. Initially launched as EcoCard in 2001, the company transformed its operations as it slowly added new services. The EcoCard became a prepaid MasterCard option which forced a new name upon the web wallet service – EcoPayz. EcoPayz offers a place to store funds, and send and receive money. Players from around the world can use it at compatible online casinos, such as the many listed above. There is over 45 currencies, including Australian and US dollars, Euros, and even Turkish Liras. Create an account and select your preferred currency to get started. It is important to note, while the web wallet service might support your currency, an online casino might not so be sure to have the necessary fees to cover exchange rates, or check the currencies compatible at online casinos first. 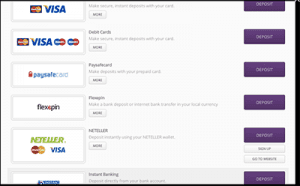 Unfortunately, if your country is listed below you can’t sign up for an account with EcoPayz – scroll below for alternatives. Players will need to create an account with EcoPayz if they wish to use the service at verified online casinos. You can create an account in just a few minutes for free, and then activate it via the email sent to you. There are five levels involved with an EcoAccount – Classic, Silver, Gold, Platinum and VIP, and all you have to do to get to the Silver level is verify your identity. Simply send in a copy of your photo ID and a document which verifies your home address. The higher the level, the more you can fund your e-Wallet – once you’re at Platinum you will also receive a reduced currency conversion fee. To find out more about the account levels, visit the FAQ page on the EcoPayz website. The fees are dependant on the currency and where in the world you are located. There is a handy feature with having an EcoAccount – you can have a number of different currencies all under the one account. This is ideal if you play at a lot of casinos with several accepting your local currency and others requiring a currency conversion. Once you’re all set up you can head to a compatible online casino and make a deposit. Provided you have an online casino account you can head straight to the cashier. If you don’t, click one of the links to the verified casinos above and create an account. Once you’ve headed to the banking page, locate the EcoPayz logo and enter the amount you wish to deposit – or visa versa. Use your Account ID and password to make the deposit – you can only do this if you’ve funded your EcoPayz account first – and then the funds will instantly appear in your online casino account. If you’ve won some money or have some left over funds in your online casino account, you can withdraw using EcoPayz. Simply head to the cashier and then to the withdrawal page. Enter how much you wish to withdraw from your personal account to your EcoAccount. Some online casinos will process the transaction instantly, while others will put a 24 to 48 hour hold in case you want to reverse the transaction. Once the funds appear in your EcoAccount you can store them here or withdraw to your personal account. There will be fees incurred which vary depending on your location. You can learn more about these in the FAQ section of the EcoPayz website. EcoPayz is great for players who are accepted by the web wallet service and for those who like the benefit of having a multi-currency account. But if you aren’t into the fees, or can’t open an account there’s a number of ideal alternatives. Prepaid methods are great for those who are in countries which aren’t eligible to use web wallets. Paysafecard prepaid vouchers can be purchased online and used at secure online casinos, including the sites above. Unfortunately, you can’t withdraw funds using this method. 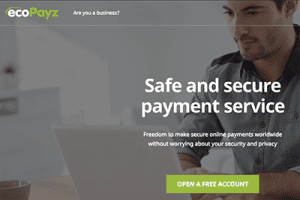 Other web wallets such as Skrill and Neteller have their own list of non-serviced countries but they differ from EcoPayz list – for example Ghanaian residents are eligible to sign up for Neteller and Skirll accounts. Withdrawals can also be made with these options. You can always opt for credit or debit cards as these are widely accepted – or log in to your online casino account and head to the cashier to see what payment method is available in accordance to your location.